Making Stars! I love quilts with stars in them. 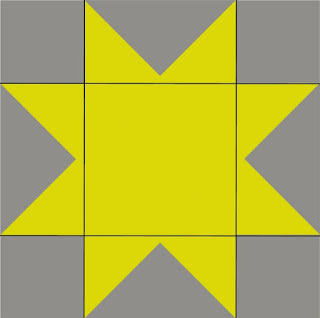 Especially Sawtooth Stars like we have in this quilt! These are stars are so easy to make. And instead of a plain square in the middle (which you could do if you wanted) we are going to use some of the four patches that we already have completed. 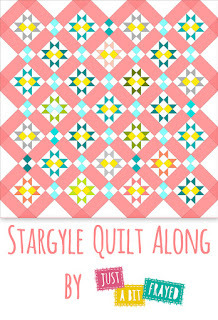 The finished Star Block size for this quilt is 8". There are so many tutorials online already for making flying geese. 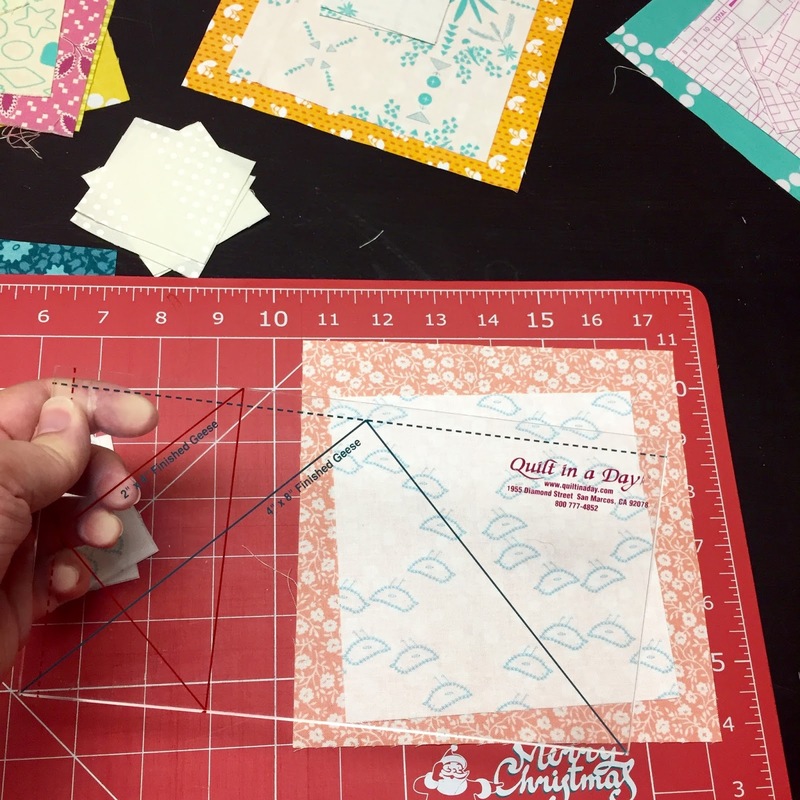 My favorite method uses the Quilt in a Day Flying Geese ruler by Elenor Burns. I've been using this ruler for years now. 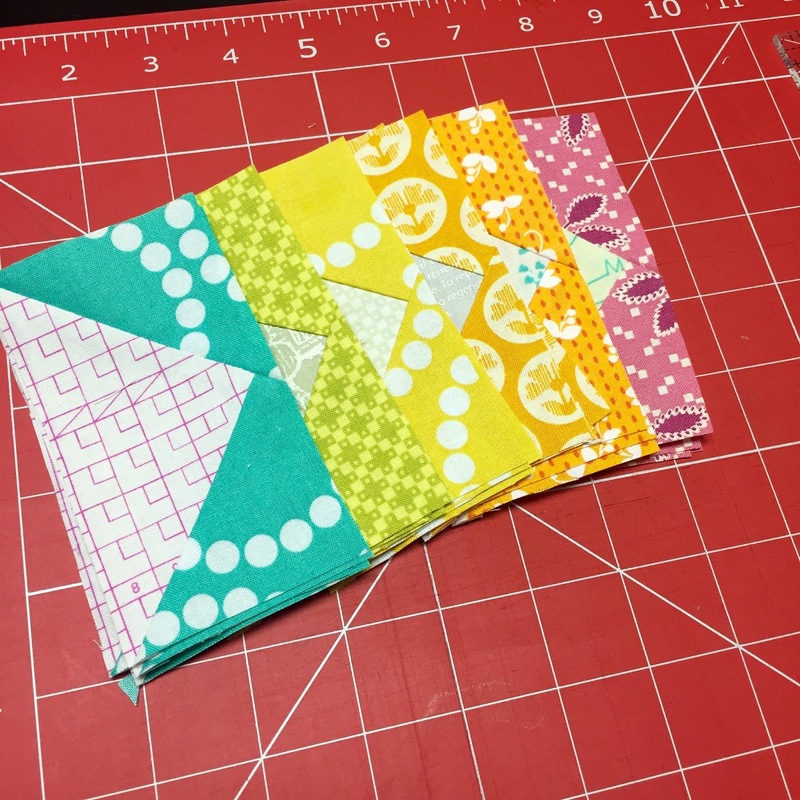 It creates 4 geese blocks at a time perfectly with just two squares of fabric! There is very little waste and they come out accurately so your points don't get lost in your seams! There are several sizes of these rulers. You will need the Large Flying Geese Ruler for this quilt (this is also the size ruler you need to create the Sparkling Cider quilt too FYI). It's easy to cut up all your squares at one time and chain piece each part of creating your Sawtooth stars. I'm really liking the way the mixed backgrounds look using up some low volume scraps. 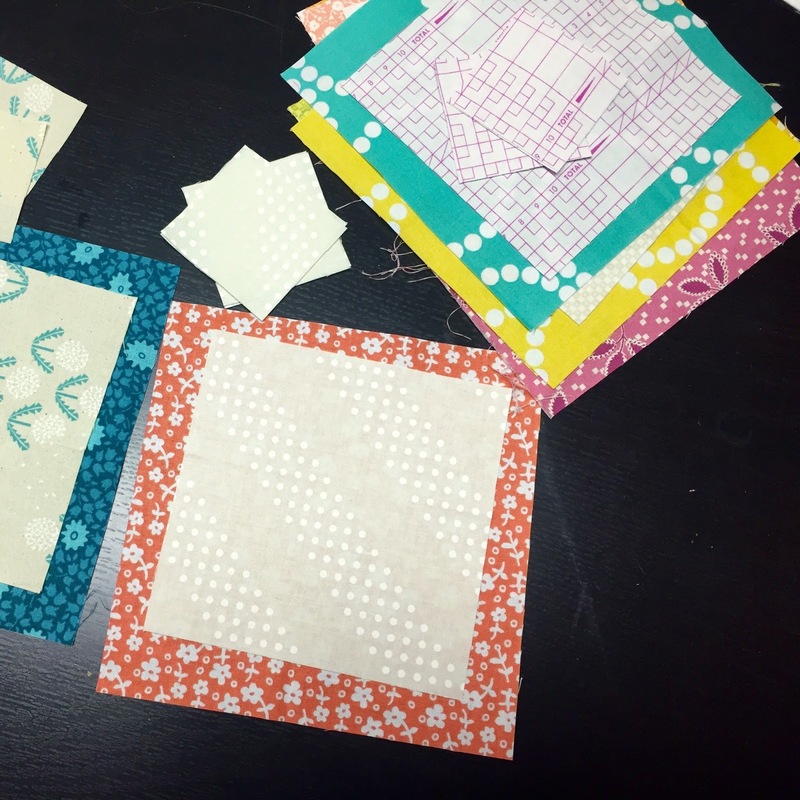 Like a chef has their mise en place it really does make quilting easier to have your fabrics cut and ready. 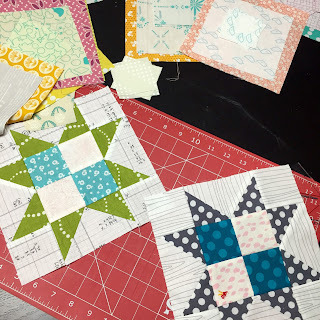 I usually do this in small groups because I get bored and want to sew :D But it still helps to do several of the same blocks at a time instead of just one. You will need a 5.5" square of background fabric and a 7" square of "star point" fabric using this ruler to create all four of your flying geese! Now you can easily sew your sawtooth star pieces together! Add in your background squares for the corners and use a 4 patch for the inside square. These blocks look really great! I love seeing all the other fabric choices on Instagram! 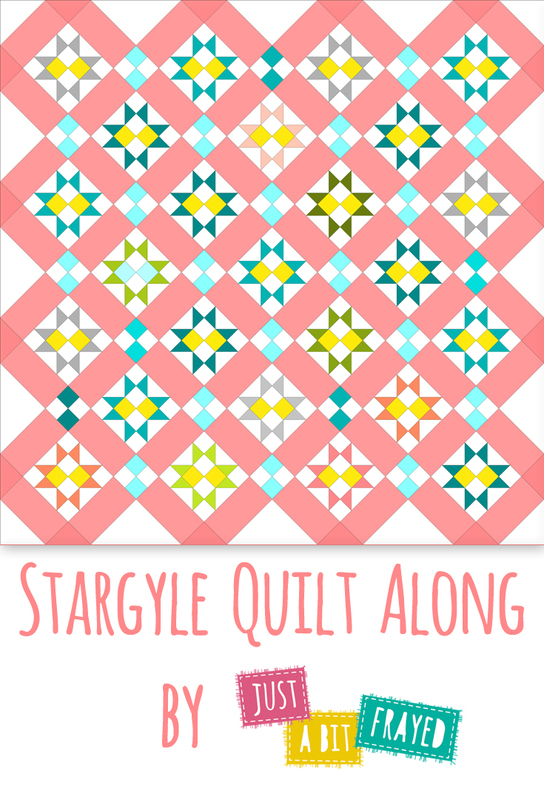 Make sure to use the #stargylequilt ! Next week we will learn about sashing and sewing all the blocks together!